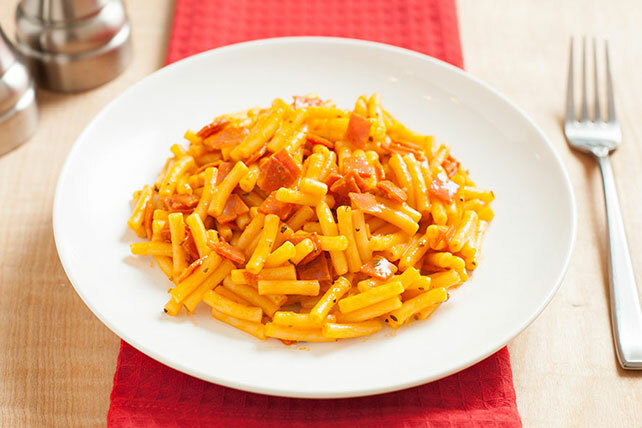 Dress up your next KRAFT Macaroni & Cheese Dinner with Italian-style flair. Get out the pizza toppings and let's discuss. Prepare Dinner as directed on pkg. Stir in remaining ingredients. Cook until heated through, stirring occasionally. Serve this kid friendly dish with tossed green salad.